Currently the WINS foundation is setting up a new collaboration with Made Gunarta to set up a WINS Learning Center Yayasan Gunari Kumara in Sukawati, Bali. 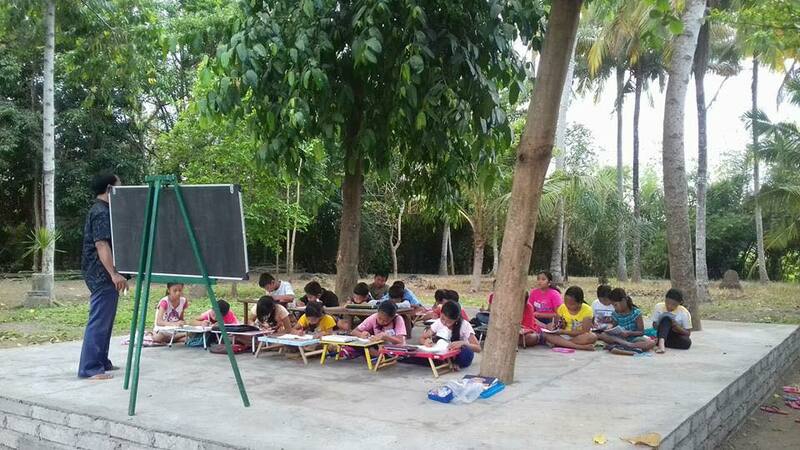 Whilst we are raising funds for building two eco-friendly classrooms, the children are already attending lessons outside under the palm trees! About 60 children attend English lessons and computer lessons twice a week, and this number will increase soon. There are already two guest rooms available for volunteers who would like to facilitate lessons for the children .